Stop using cash and get some credit! You are at:Home»Personal Finance»Loans and Debt»Stop using cash and get some credit! In today's day and age, credit is the new in and cash is definitely the outcast. It's very useful to understand how to use credit. You will need to do some research to learn all the details. Financial institutions make loads of money each year on interest and fees so don't expect anyone to sit you down and spoon feed you the facts and hidden secrets. Many Americans never learn about credit until a financial situation comes into the picture and they have to drop hundreds of dollars, or they get tangled into a web of debt. So how do you get some credit and not spend all your hard-earned money on interest? Well first, let me educate you a bit on the subject and let you make your own financial decision. First, don't expect to turn on any of your utilities without dropping a couple hundred on a security deposit. Expect to pay a full deposit on your next rental property. While those with credit may only pay half or maybe even nothing on their first month's rent, you get stuck paying in full or double! Don't have a couple hundred to drop on utilities? You may be able to slide on the utility deposit, but don't expect to have a bill sent to your house every month like everyone else. 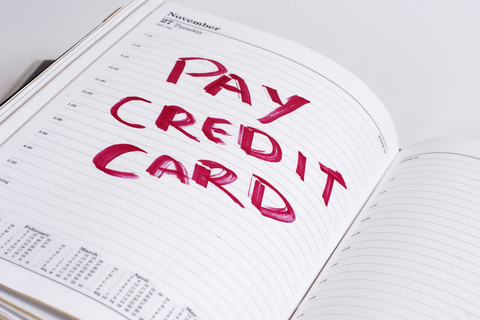 Pay as you go has become the default payment method for those with little to no credit. So if you don't have that $300 security deposit to put down then expect to track your usage. You wouldn't want your lights cut off during Sunday night football! Second, don't expect to get that fancy car you see on television every commercial break. Sure you pay all your bills on time but if those bills aren't loans or lines of credit then you better have a cosigner with awesome credit to jump on your loan with you. Even with the best cosigner, your payment plan and interest rate will be higher than average. In the credit world you are seen as a liability because you don't have any debt. Rack in some debt and watch the offers roll in. Your cosigner is more trustworthy to loan to because they have debt the creditors can refer to their payment history. So don't expect to be number one on your car loan. Your cosigner will probably take the lead whether they are paying on the loan or not. Make sure you pay your obligations if you get a cosigner involved because this will come back on both of you if you don't. So how are you supposed to get credit? The secret to credit is the more you owe, the better established your credit becomes. The earlier you jump on credit, the easier it is to get started. No credit is worse than bad credit. Wait, what? That's right folks. The longer you wait to get some credit the harder it will be to be taken seriously in the credit world. If you want that new car you've got to have an established history of well-paid lines of credit. The older you get, the harder credit will be to obtain. When you open a line of credit that isn't racking in interest, then keep it open. This becomes revolving credit (even with a zero balance). Remember that anytime you close an account you will have to rerun your credit to reopen an account. Every hard inquiry takes a hit on that credit score you are working so hard on. So dip your toes in but don't jump in head first in the deep end. Start early and move slowly. It's not a race but a slow power walk. Grab a line, pay on time and don't get too impulsive when you see the light.